An artist claiming responsibility for the “HOLLYWeeD” sign prank on New Year’s Day struck again over the weekend by helping install a massive banner pushing to impeach President Donald Trump on the Golden Gate Bridge. 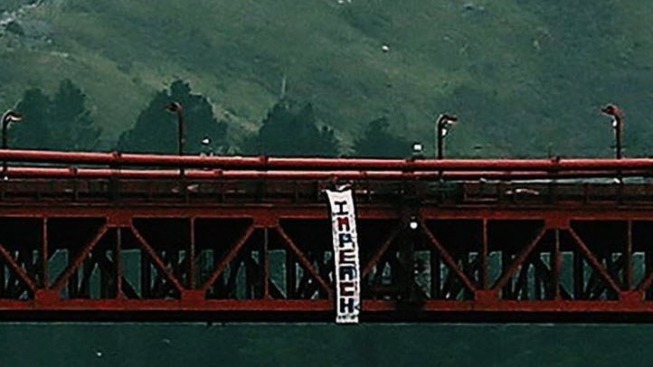 Meanwhile, the California Highway Patrol said no arrests have been made in connection to the banner that hung on the Golden Gate Bridge. An investigation is also ongoing.